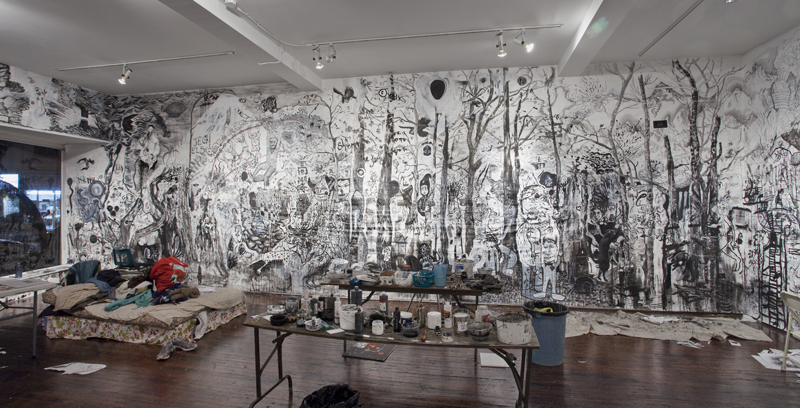 A collaborative drawing installation led by Matt Shane and Jim Holyoak. 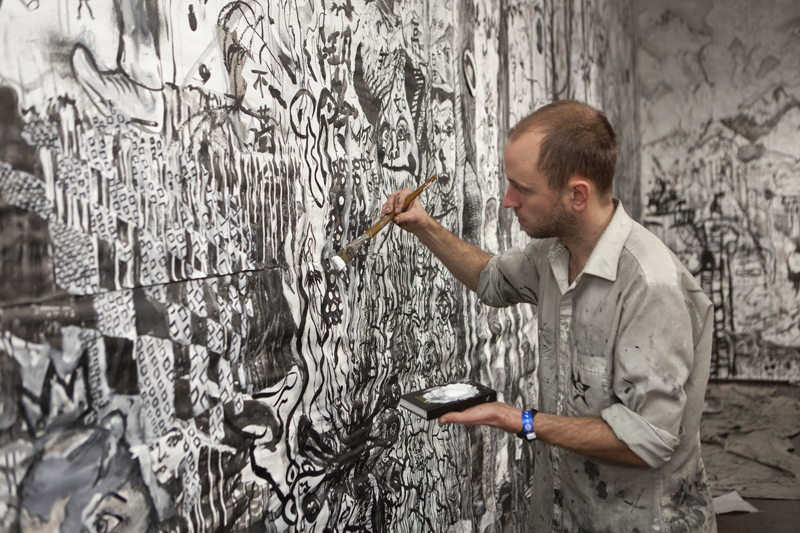 We covered the walls of Articule Artist-Run-Centre in paper and drew all over the walls. During this time, we lived, worked and slept on-site at articule. Our goal was to draw spontaneously and to respond to what happened as the work evolved. Viewers were encouraged to wander through the landscape of drawings, and to react and participate in the process freely. 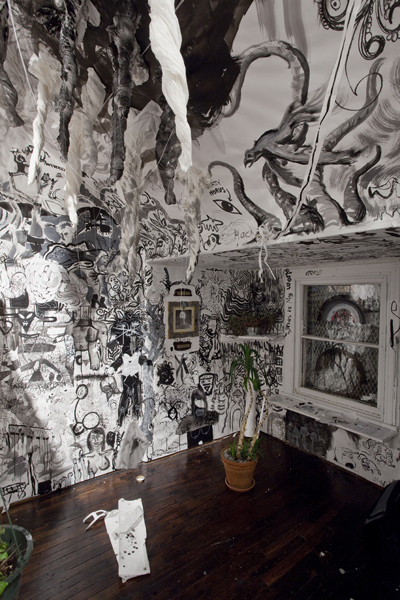 We provided ink and materials to anyone wishing to draw with us (or against us). 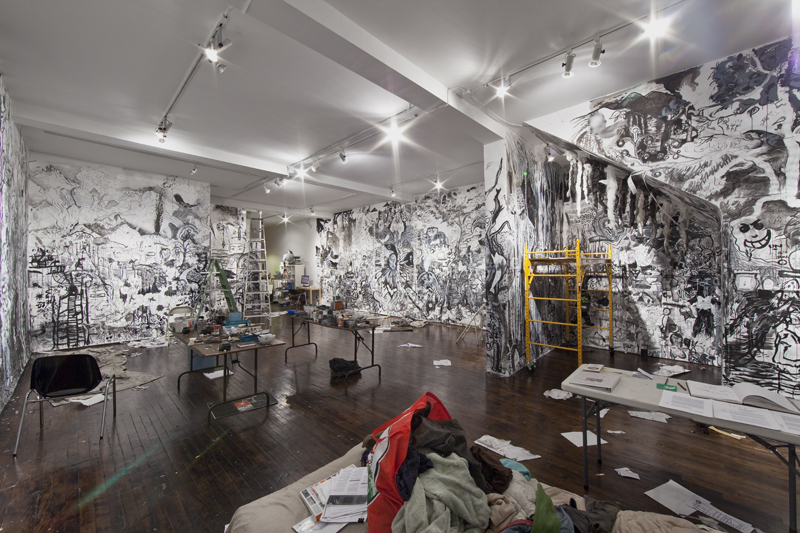 Throughout the project's length, pictures of the gallery were automatically taken every five minutes, creating a stop-motion animation.